Volvo Cars presents a unique, complete system solution that makes it possible to integrate self-driving cars into real traffic – with ordinary people in the driver’s seat. As the Drive Me project enters its second year, Volvo Cars is moving rapidly towards the aim of placing 100 selfdriving cars in the hands of customers on selected roads around Gothenburg by 2017. The public pilot, a one-ofa-kind collaboration between legislators, transport authorities, a major city and a vehicle manufacturer, is a central component of Volvo Cars’ plan to achieve sustainable mobility and ensure a crash-free future. Based on an extensive analysis of potential technical faults, Volvo Cars has designed a complete productionviable autonomous driving system. The key to making this unprecedented leap is a complex network of sensors, cloud-based positioning systems and intelligent braking and steering technologies. Volvo Cars’ Autopilot system is designed to be reliable enough to allow the car to take over every aspect of driving in autonomous mode. The technology advances a crucial step beyond the automotive systems demonstrated so far since it includes fault-tolerant systems. “It is relatively easy to build and demonstrate a self-driving concept vehicle, but if you want to create an impact in the real world, you have to design and produce a complete system that will be safe, robust and affordable for ordinary customers,” says Dr Erik Coelingh, Technical Specialist at Volvo Cars. The main challenge is to design an Autopilot that is robust for traffic scenarios as well as for technical faults that may occur. It cannot be expected that the driver is ready to suddenly intervene in a critical situation. 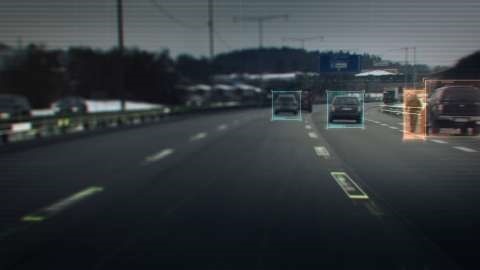 Initially, the cars will drive autonomously on selected roads with suitable conditions, for example without oncoming traffic, cyclists and pedestrians. “Making this complex system 99 per cent reliable is not good enough. You need to get much closer to 100 per cent before you can let self-driving cars mix with other road users in real-life traffic,” says Erik Coelingh. For example, the probability of a brake system failure is very small, but a self-driving vehicle needs a second independent system to brake the vehicle to a stop, as it is unlikely that the driver will be prepared to press the brake pedal. On the road, the complete technology solution will handle even the most complicated scenarios, from smooth commuting to heavy traffic and emergency situations. “Just as good drivers would, potentially critical situations are approached with sensible caution. In a real emergency, however, the car reacts faster than most humans,” says Erik Coelingh. When autonomous driving is no longer available – due to exceptional weather conditions, technical malfunction or the end of the route has been reached – the driver is prompted by the system to take over again. If the driver is incapacitated for any reason and does not take over in time, the car will bring itself to a stop in a safe location. In addition to simplifying people’s lives and transforming the everyday commute from lost time to quality time, self-driving cars create environmental benefits. 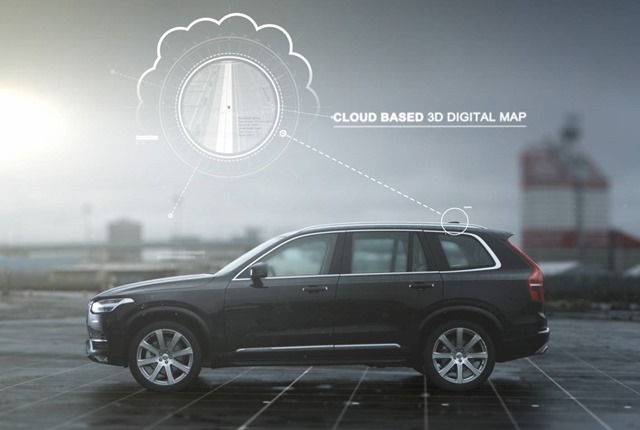 Volvo Cars expects that autonomous driving could cut fuel consumption. The technology could also improve traffic flow as well as open up possibilities for urban planning and more cost-efficient investments in infrastructure. “Developing a complete technological solution for self-driving cars is a major step. Once the public pilot is up and running, it will provide us with valuable knowledge about implementing self-driving cars in the traffic environment, and help us explore how they can contribute to sustainable mobility. Our smart vehicles are a key part of the solution, but a broad societal approach is vital to offer sustainable personal mobility in the future. This unique cross-functional co-operation is the key to a successful implementation of self-driving vehicles,” says Erik Coelingh. 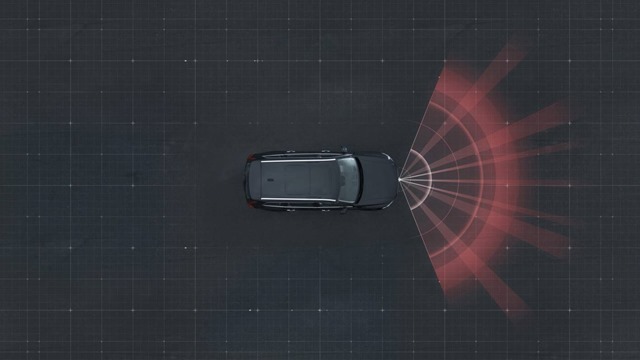 Volvo Cars is developing a holistic solution that generates exact positioning and a complete 360° view of the car’s surroundings. This is achieved by a combination of multiple radars, cameras and laser sensors. A network of computers processes the information, generating a real-time map of moving and stationary objects in the environment. Precise positioning is based on this surround information together with GPS and a high definition 3D digital map that is continuously updated with real-time data. The system is reliable enough to work without requiring driver supervision. The combined 76 GHz frequency-modulated continuous wave radar and camera placed in the windscreen is the same as that in the All-New XC90. This system reads traffic signs and the road’s curvature and can detect objects on the road such as other road users. Four radars behind the front and rear bumpers (one on each corner of the car) are able to locate objects in all directions. By sweeping both left and right, transmitting waves that bounce off signs, poles, and tunnels, they monitor a full 360° around the car. Four cameras monitor objects in close proximity to the vehicle. Two are under the outer rear-view mirrors, one is in the rear bumper and one is in the grille. Besides detecting objects at close range, these cameras monitor lane markings. The cameras have a high dynamic range and can handle very quick changes in lightning conditions, e.g. when entering a tunnel. This sensor system is placed in the front of the vehicle, below the air intake. The scanner can identify objects in front of the car and ensures very high angle resolution. It can also distinguish between objects. The unique laser sensor has a range of 150 metres for vehicles and covers a 140° field of view. In addition, a trifocal camera placed behind the upper part of the windscreen is three cameras in one, providing a broad 140° view, a 45° view and a long-range, yet narrow, 34° view for improved depth perception and distant-object detection. The camera can spot suddenly appearing pedestrians and other unexpected road hazards. Two long-range radars placed in the rear bumper of the car ensure a good rearward field of view. This technology is particularly useful when changing lanes because it can detect fast-moving vehicles approaching from far behind. The sensors are based on the technology used for current park assist functions enhanced with advanced signal processing. A typical example of when this technology is useful is for detecting unexpected situations, such as pedestrians or hazards on the road close to the car. A high definition 3D digital map is the tool used to provide the vehicle with information about the surroundings, e.g. altitude, road curvature, number of lanes, geometry of tunnels, guard rails, signs, exits, etc. The position geometry is in many cases at centimetre level. The high performance GPS is one part of the positioning control that is enhanced by a combination of an advanced GPS, a 3-degrees of freedom accelerometer and a 3-degrees of freedom gyro. By matching the 360° image created by the multitude of sensors with the map image, the car will get the information about its position in relation to the surroundings. By combining the information from the sensors and the map, the Drive Me car is able to choose the best course in real time, factoring in variables such as the curvature of the road, speed limit, temporary signs and other traffic. The cloud service is connected to the traffic authorities’ control centre. 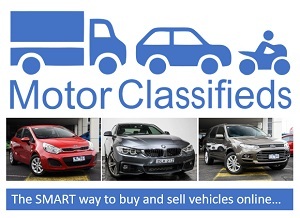 This ensures that the most up-to-date traffic information is always available. The control centre operators also have the ability to tell the drivers to turn off the autonomous drive mode if necessary.